Providing you the best range of waste recycling machine and waste recycling plant with effective & timely delivery. 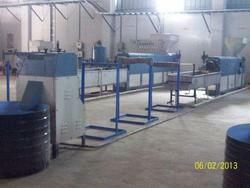 We are well acclaimed as reliable firm of highly demanded Waste Recycling Machine. Our offered machine efficiently reprocesses the waste plastic and makes new form in a shorter duration. Featuring cost saving performance and assurance of durability, the offered machine comes with heavy duty palletizer to produce pallets. Further, we are developing these machines in varied capacities and technical specifications which can be ordered from us at a nominal price. We have been counted as major firm of high performing Waste Recycling Plant. 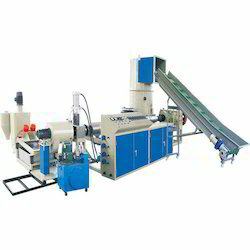 The offered plants feature heavy duty bearing and next generation helical gear box, which assures efficient performance in reprocessing or recycling waste plastic. We are procuring finest grade steel alloys for the screw and barrels, and make sure to use best quality rubber belt and pulleys to render durable performance. Further, this high performing plant can be ordered with application specific screw diameter at a nominal price.